Getting a good night’s sleep is essential for our health, and there’s nothing worse than sleeping in a bed that’s too small or not being able to get away from someone who tosses and turns throughout the night. Or perhaps you have a king sized mattress, but it’s on the floor. Sigh…it’s time for a real bed. 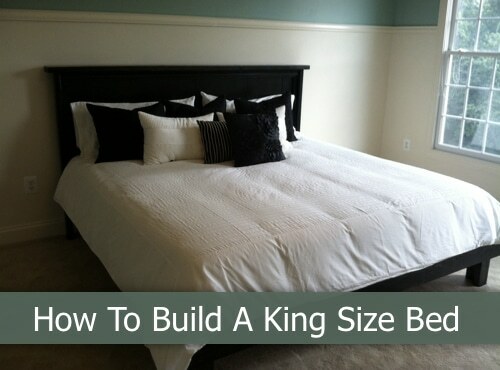 You can make a king sized bed with this DIY tutorial that’s both sturdy and beautiful. You’ll save lots of money building this bed than rather than buying one at a furniture store.